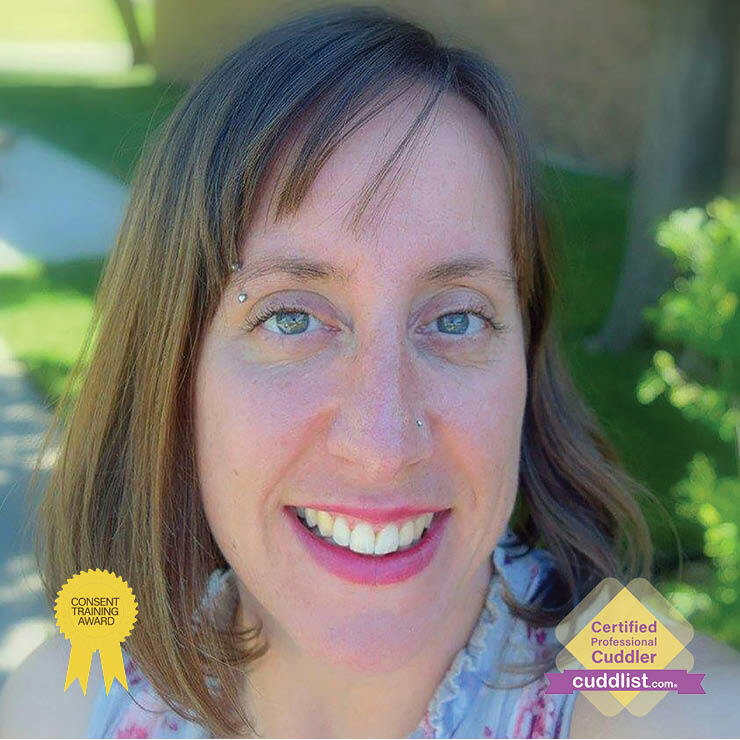 What makes Cuddlist so special are our practitioners who come from such a wide range of backgrounds. Each of them have different motivations when it comes to what drove them to Cuddlist, and each of their stories are special in their own ways. We think the best way for you to get a good sense of what we do is to get to know our practitioners. Sherri Rogers, one of our practitioners from Grand Rapids and Grand Haven, MI, was touch deprived as a young girl and believes that touch deprivation is one of the most overlooked issues that society has. Her desire to be touched, along with her belief that touch gives others a space to just be present in the moment, is what motivated her to join our team. In an interview via email, Sherri talked to me about what specifically inspired her to become a Cuddlist, her most memorable moments as a Cuddlist, and other information that others would like to know about her. She had so much insight to share. What drew you to becoming a professional cuddler, specifically a Cuddlist? What life experiences do you have that compliment your work as a Cuddlist? Can you share a specific story with a client that was meaningful to you? What advice would you give your 10-year-old self, and what is the best piece of advice you have ever gotten? Is there anything else about you that you would like to share?